During the last decades feminist historians have revisited the Bauhaus, asking about the role of women and gender in this famous school. Unsavory details have come to the fore – such as e.g. the affair of Hannes Meyer with Lotte Beese, which obliged her (not him) to leave the school and to postpone her graduation as an architect with some 15 years. A lot of documentation has been collected about the reduced opportunities for women at the school, the discrimination they encountered in their professional lives and the general condescension towards their work. 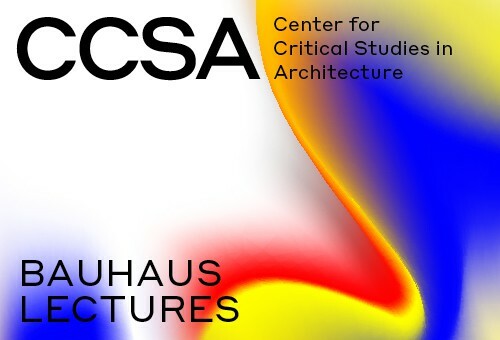 This lecture will give an overview of this recent feminist historiography, raising the question whether a general re-appraisal of the Bauhaus is not in order, rather than an uncritical celebration of its 100thyear anniversary. Hilde Heynen is a professor of architectural theory at the University of Leuven, Belgium. Her research focuses on issues of modernity, modernism and gender in architecture. In Architecture and Modernity. A Critique(MIT Press, 1999) she investigated the relationship between architecture, modernity and dwelling. She also engaged with the intersection between architecture and gender studies, resulting in the volume Negotiating Domesticity. Spatial productions of gender in modern architecture (co-edited with Gulsum Baydar, Routledge, 2005). She co-edited the Sage Handbook of Architectural Theory (with Greig Crysler and Stephen Cairns), which was published in 2012. Her intellectual biography of Sibyl Moholy-Nagy is forthcoming (Bloomsbury, 2019; Sandstein, 2019).